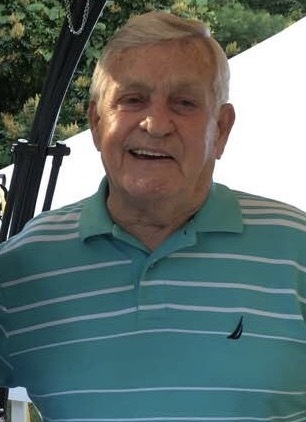 Andrew “Andy” Murphy, Jr. age 82, passed away in the Veteran’s Administration Hospital in Brockton, Massachusetts on Friday, January 25, 2019. Born in Boston, Massachusetts on October 27, 1936, he was the son of the late Andrew and Marie (Barrett) Murphy. He was raised in the Jamaica Plain area of Boston, attending Jamaica Plain High School. In 1955, Andy enlisted in the United States Army, proudly serving his country at the end of the Korean War. He was stationed in Germany with Company A, 2nd Medical Battalion, 2nd Infantry Division. He was honorably discharged in January of 1959, however remained active with the Massachusetts National Guard for 20 years. Upon his return home from active duty in the Army, Andy settled back in his hometown of Jamaica Plain and began working in the construction field, alongside his father. In 1966, Andy was appointed to the Boston Police Department and began working out of the Morton Street Station in Mattapan. He worked as a patrol officer for many years before taking the prosecuting officer’s position at the West Roxbury District Courthouse. He retired in 2001 after 35 years of dedicated service to the citizens of Boston. Andy enjoyed golfing, playing pool, taking cruises, and traveling around Europe. Taking his wife to Wells, Maine was the highlight of his off time. He also had a passion for the city of Boston, due to its strong early American roots. As an intellectual, Andy could be found sitting comfortably and enjoying historical texts on any given day. He was a great conversationalist. Everyone that knew Andy relished in passionate conversations about history. As a proud American veteran, Andy was a member of the Fogg Robert American Legion Post 78 in Hyde Park and VFW Police Post 1018. He also belonged to the Benevolent and Protective Order of Elks in West Roxbury. Andy took his relationships and organization memberships very seriously. He was the past Commander of the American Legion Post and placed flags on the graves of veterans from his Post every year. Above all, Andy was beloved by everyone that had the opportunity to get to know him. Beloved husband of Ellen A. (Hulme) Murphy. Loving father of Robert Murphy and his wife Yanci of Arizona; Mark Murphy and Jennifer of West Roxbury; and Steven Murphy and Irma of Chicago. Stepfather of Lisa Marchant and Steve of Norwood; and Melissa Flavin and Steve of Norwood. Cherished grandfather of Brandon, Yancy, Andrew, Grace, Patrick, Marco, Adrian, and Aidan. Step- Grandfather to Nicole, Jessica, Anthony, Kayla, and Vanessa. Loyal brother of the late James Murphy, Mary Bennett, William Murphy, Peggy Gaskill, and Leo Murphy. Devoted uncle to many nieces and nephews. Relatives and friends are kindly invited to attend Andy’s Life Celebration on Tuesday, January 29, 2019 from 4-8 PM and Wednesday, January 30, 2019 from 10 to 10:30 AM in the James H. Delaney & Son Funeral Home, 48 Common Street, Walpole. A Mass of Christian Burial will be held on Wednesday, January 30, 2019 at 11:00 AM at Saint Catherine of Siena Parish, 547 Washington Street, Norwood, MA. Interment will take place privately in the Massachusetts National Cemetery in Bourne. In lieu of flowers, memorial donations may be made to: The Shriners Hospital, 51 Blossom St, Boston, MA 02114 or Saint Jude Children’s Research Hospital, 501 St. Jude Place, Memphis, TN 38105.